Summertime is the Best School Cleaning Time! School may be out for summer, but that doesn’t mean your school cleaning routine needs to be put on hold. Now is the perfect time of the year for a deep cleaning of your educational facilities and evaluation of your existing school cleaning contract. No matter if your facilities serve kindergartners or college students, ensuring your school provides a clean and comfortable learning environment is essential to student success. Public and private educational institutions for students of all ages can benefit from a summer deep cleaning. 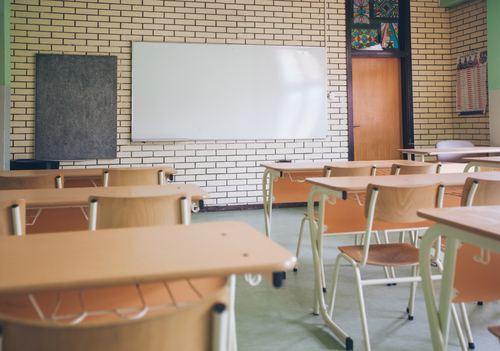 Whether you’re dealing with a daycare, elementary, middle or high school, or a college campus, it’s easiest to address major cleaning projects when your school is not at maximum capacity. Now is the perfect time to get caught up on window washing, carpet cleaning, exterior pressure washing and other time-intensive cleaning projects. Not only will this deep cleaning significantly improve the appearance of your school’s campus, but addressing these major cleaning tasks also helps create a safe, healthy and germ-free educational environment for students and faculty when they return in the fall. Each educational facility requires a unique cleaning plan to keep classrooms, offices, cafeterias, computer labs, restrooms and other spaces sanitary and spotless. There’s no better time than now to re-evaluate your cleaning contract and determine if these areas are receiving the attention they need and if your existing services are living up to your expectations. As you re-evaluate, also consider potential changes in the coming year — a greater influx of students, renovations or additions to your facilities, changes to the budget and more. You’ve heard the phrase “spring cleaning,” but there’s something to be said for a deep clean of your school’s facilities this summer while students are out of the picture. Atlantic Building Solutions, the Southeast’s premier commercial cleaning company, offers comprehensive school cleaning services to public and private educational institutions for students of all ages. Get in touch with Atlantic Building Solutions for a free, no-obligation estimate on janitorial services for your school’s campus or to discuss how we can enhance your school’s existing cleaning schedule! For the best, most comprehensive school cleaning services in North Carolina, South Carolina, Virginia and Washington, D.C., turn to the experts at Atlantic Building Solutions! Guarantee the health, safety and comfort of your students, faculty and staff, and create an immaculate learning environment all can enjoy.